Dr Pia Maria Jolliffe holds a DPhil in International Development from Queen Elizabeth House, University of Oxford, a DESS in Asian Studies from the University of Geneva and a Master’s in Japanese Studies from the University of Vienna. She was appointed a Research Fellow of Blackfriars Hall and member of the Las Casas Institute in February 2016. 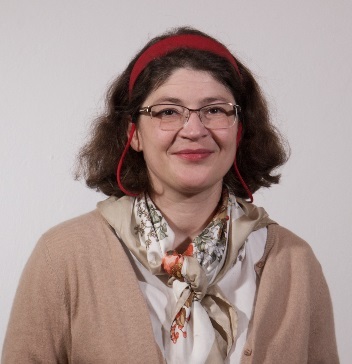 Pia is also a Research and Teaching Associate at The Nissan Institute of Japanese Studies as well as an Old Member and a Continuing Member at Linacre College, University of Oxford. 2018 Prisons and Forced Labour in Japan. The Colonization of Hokkaido, 1881-1894. London: Routledge. 2016 Learning, Migration and Intergenerational Relations. The Karen and the Gift of Education. London: Palgrave Macmillian. 2016 Gefängnisse und Zwangsarbeit auf der japanischen Nordinsel Hokkaido. Vienna: LIT Verlag. 2018 ‘Wirtschaftliche Tätigkeiten und soziale Wahrnehmungen der Natur im Kontext der Kolonialisierung von Ezo/Hokkaid?’ (Economic activities and social perceptions of nature within the context of the colonization of Ezo/Hokkaido) Minikomi – Informationen des Akademischen Arbeitskreises Japan Nr 87, 45-52. 2017 ‘Thomas Linacre – Humanist, Scholar, Physician and Priest’ Catholic Medical Quarterly 67/3, 17-18. 2017 ‘Karen youth transitions at the Thai-Myanmar border’ Journal of Youth Studies 20/10, 1313-1327. 2016 ‘Night-time and refugees. Evidence from the Thai-Myanmar border’ Journal of Refugee Studies 29/1, 1-18. 2007 ‘Into the jungle of bureaucracy: negotiating access to camps at the Thai-Burma border’, Refugee Survey Quarterly, 26/3, 51-60. 2005 ‘Blurring the boundaries: prisons and settler society in Hokkaido’, International Institute of Asian Studies Newsletter 39, 8. 2003 ‘Über hikikomori sprechen. Unterschiedliche Darstellungsweisen im öffentlichen Diskurs’ Minikomi – Informationen des akademischen Arbeitskreises Japan 66, 28-34. 2002 ‘J?k?-san, tan?k? und maik?. Zur Wechselwirkung von Technologie und geschlechtlich segregiertem Arbeitsmarkt in Japan’ Minikomi Informationen des akademischen Arbeitskreises Japan 65, 13-18. 2008 ‘Sleeping as a Refuge? Embodied Vulnerability and Corporeal Security during Refugees’ Sleep at the Thai-Burma Border’, in Lodewijk Brunt and Brigitte Steger (eds) Worlds of Sleep, Berlin: Frank and Timme, 193- 210.